The book of Proverbs tells us what it means to be wise. Being wise is more than just knowing a lot or being smart. It involves things like fearing the Lord listening to others loving God's Word having a joyful heart being generous not hiding our sin working hard and telling the truth. One of the ways we become wise is by spending time with people who are wiser than us. That's what it means to "walk with the wise". Most of all wisdom is believing that Jesus is the Son of God who died for our sins and rose from the dead so that we could be forgiven and follow Him. That kind of wisdom is more important than anything in the world. Walking With The Wise by Sovereign Grace Kids was published by Integrity Music in June 2010 and is our 30035th best seller. The ISBN for Walking With The Wise is 0636661002925. 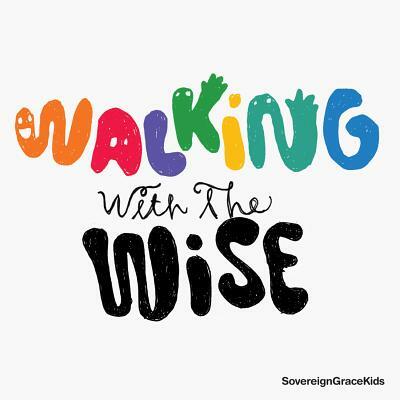 Be the first to review Walking With The Wise! Got a question? No problem! Just click here to ask us about Walking With The Wise.